Good things come in threes, as the saying goes. 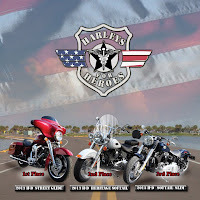 During the Harleys for Heroes Sweepstakes Giveaway's 3rd year running, Healing Heroes Network is proving that saying to be true with three motorcycles and three winners in 2013. 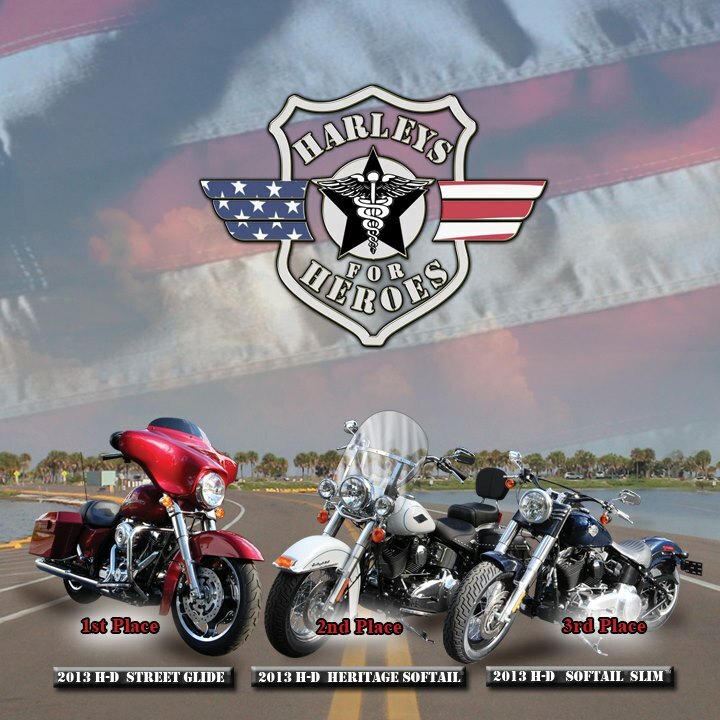 On February 23, 2013, Healing Heroes Network (HHN) began its 3rd year of the highly successful "Harleys for Heroes" sweepstakes. Participants may donate for chances to win Harley-Davidson® motorcycles, and this year three winners will be selected to receive one of three! This year's prizes include a 2013 Heritage Softail®, a 2013 Softail® Slim™, and a 2013 Street Glide®. The Warrior Brotherhood Veterans Motorcycle Club is excited to host the Spring Poker Run! On April 6, 2013, the run will benefiting the Healing Heroes Network and Sons of Amvets. Price: $10 and $5 for passengers OR $15 and $10 for passengers to include dinner. Dinner includes BBQ ribs or chicken at the Amvets. Extra hands can be purchased for $5.